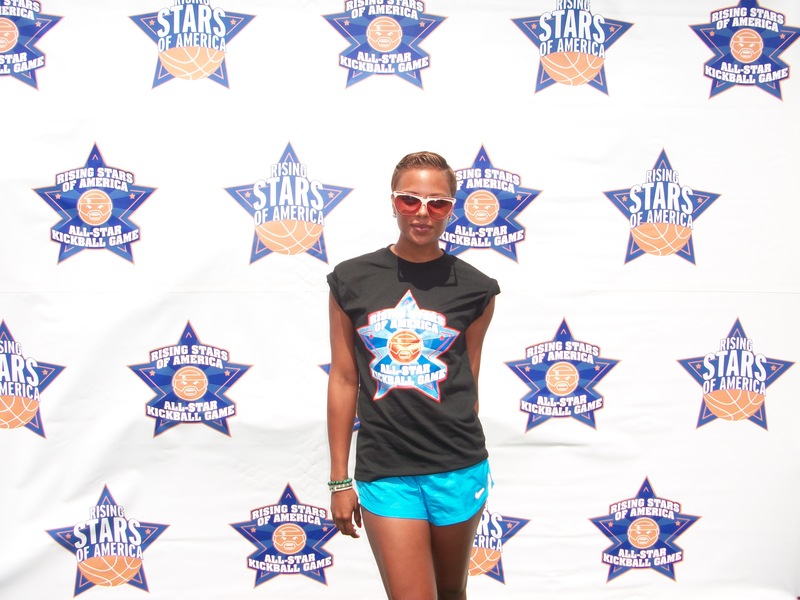 Sunday afternoon in Santa Monica, CA, Baron Davis hosted a slew of his sports colleagues and Hollywood buddies for an afternoon of fun, food, and family for his 2nd Annual Rising Stars of America All-Star Kickball Game. Baron’s event benefits his foundation, Rising Stars of America, which uses sports to teach life skills and social values through mentoring. 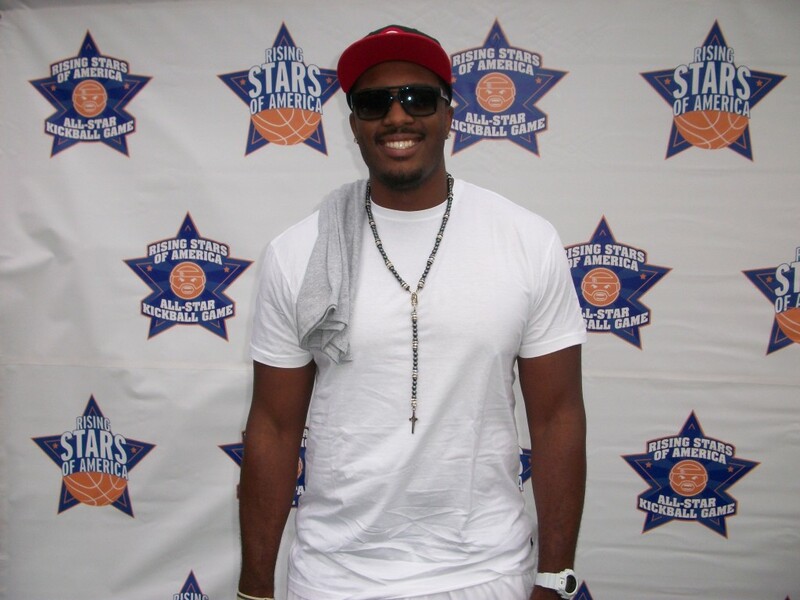 Baron’s former LA Clippers teammate Craig Smith was there. Ms. Eva Marcille was all kinds of cute. 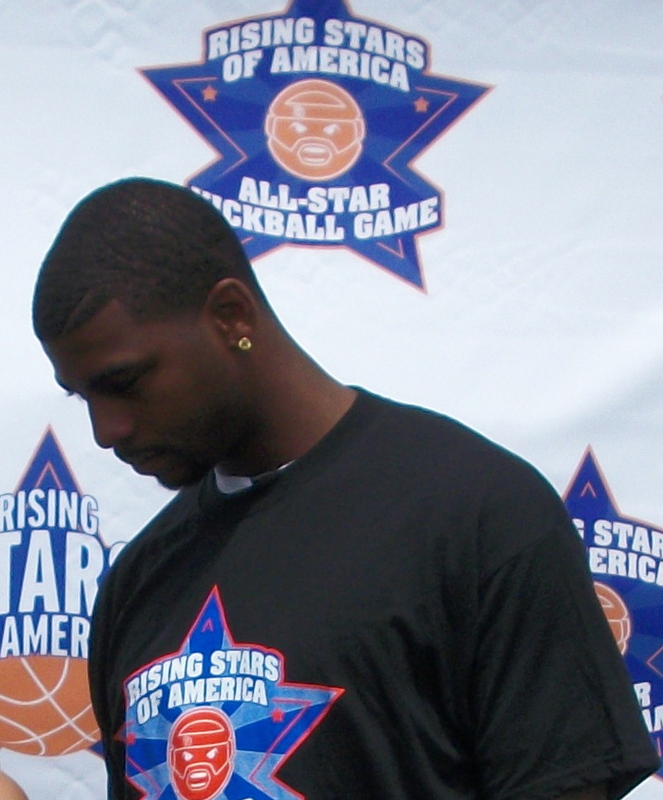 Dorell Wright is one of the nicest guys in the NBA. He talked about L.A. Unified, the “fraternity” of Los Angeles born and raised pro basketball players that was formed by Baron Davis. Dorell said Baron is their “CEO” and in the future they plan to have camps and other activities for local children. 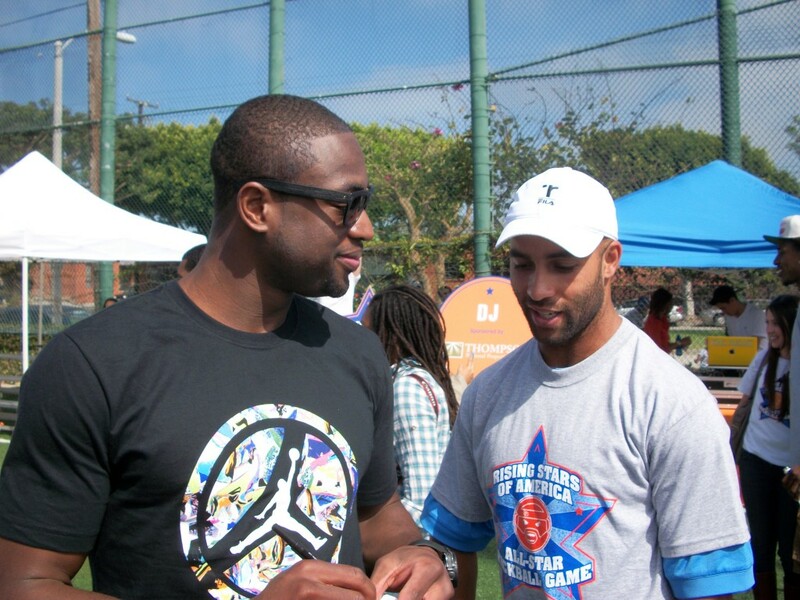 Dwyane Wade and tennis star James Blake chat it up. 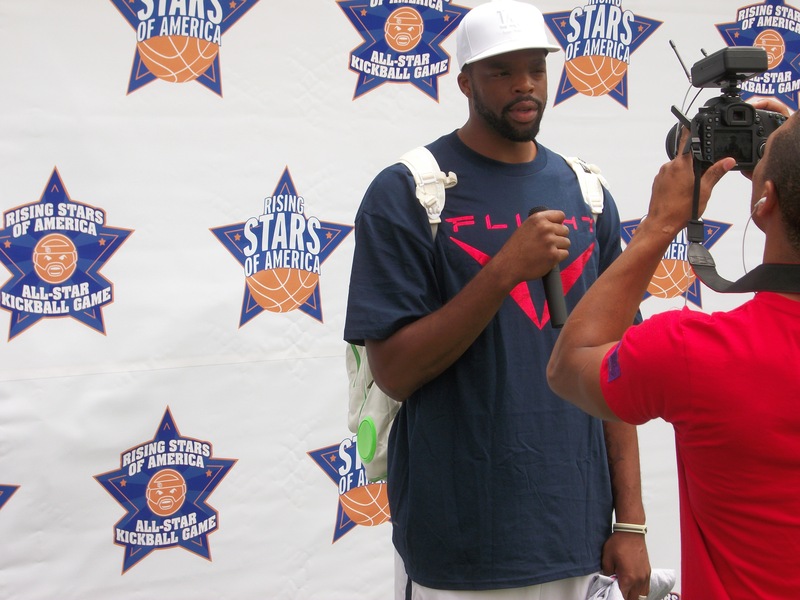 Shelden Williams gives an interview…. 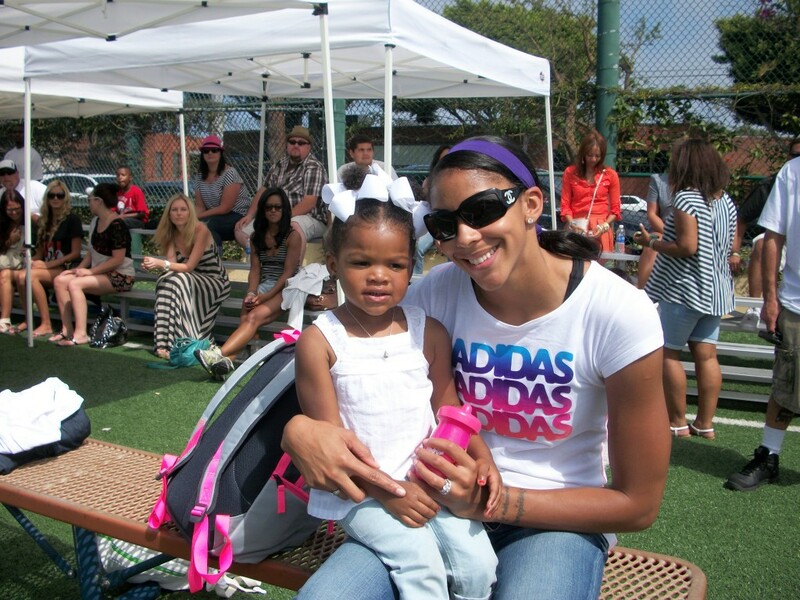 while Candace Parker and their adorable daughter Lailaa enjoy the sunshine. 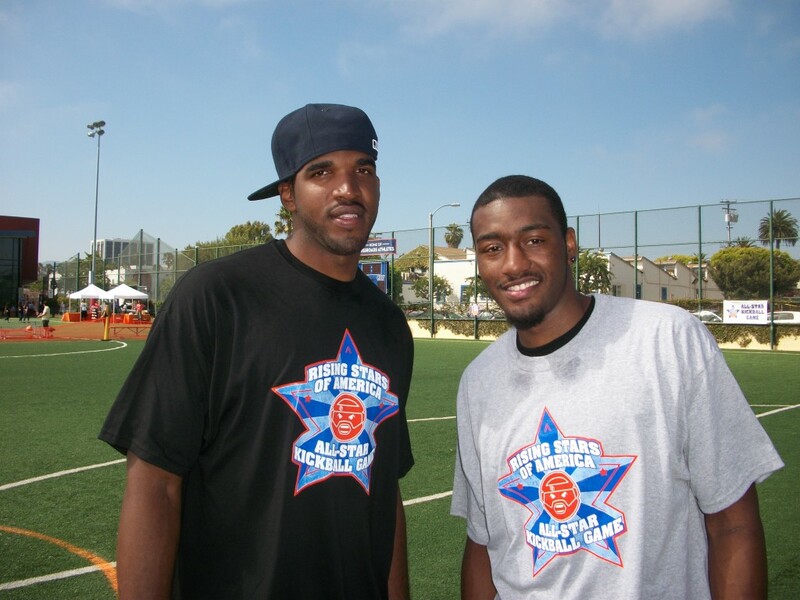 NBA players Samardo Samuels and John Wall. 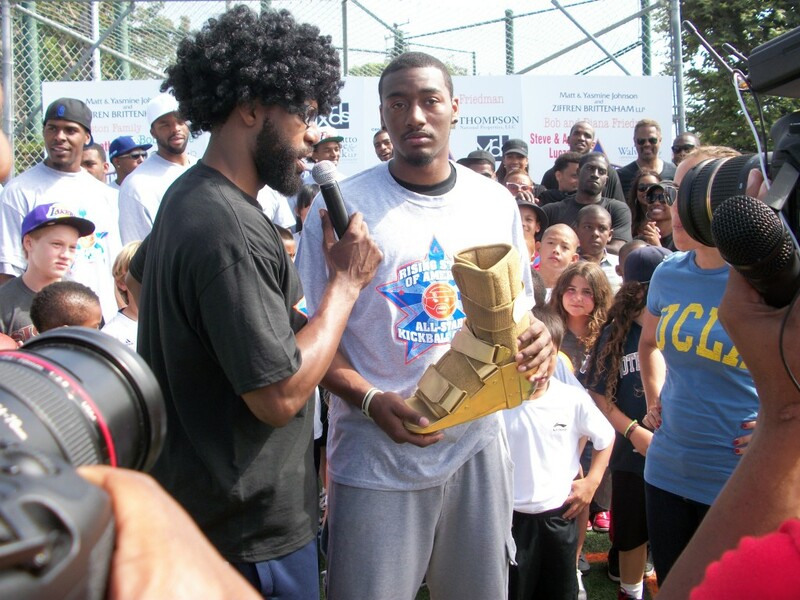 John Wall won the coveted “Golden Boot” Award given to the best overall kickball player-of-the-game. Don’t mind Baron’s wig, it’s a reflection of his fun-loving personality. 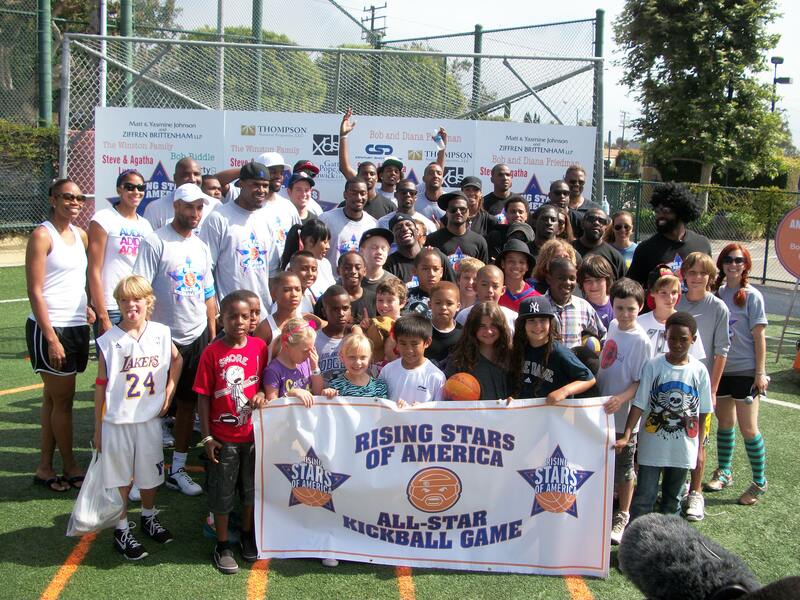 The gray team prevailed, and the day ended with a group photo of Baron, his All-Star friends and the kids from Rising Stars. Also in attendance were Pooh Jeter, Guy Torrey, Gabrielle Union, Michael Ealy, Tina Thompson, Denyce Lawton, Ephraim Salaam, Damien Wayans, and Jaron and Jason Collins. 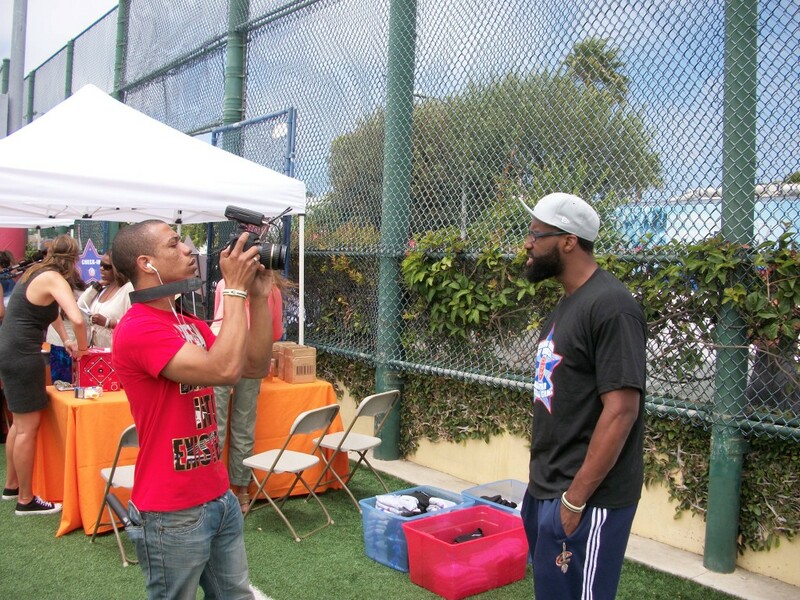 You can follow Baron Davis on Twitter @Baron_Davis. Michael Ealy waits for the pitch. Dorell Wright is at the plate. John Wall just before he kicked a home run. James Blake prepares to kick.